Anyone can claim they do wireless site surveys, including those that walk around using free utilities that check for basic signal strength, without any training or understanding of how wireless works. That may be fine if you only need basic Internet connectivity, but if your network supports mission-critical applications, you need a professional-grade solution. We start with a commitment to having the best trained personnel possible. 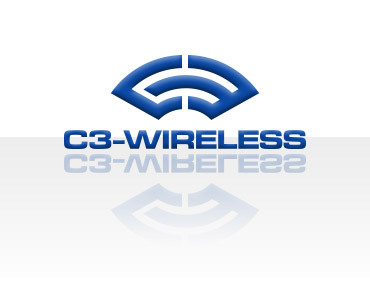 We only employ or contract with Certified Wireless Network Professionals (CWNP). We are proud to be a member of the prestigious CWNE roundtable, an exclusive committee of wireless experts dedicated to developing the highest level and most respect vendor-neutral certification in the wireless industry, as well as writing technical whitepapers. Predictive models, also known as virtual site surveys allow us to efficiently and accurately identify the number of access points required, as well as their initial placement and configuration. Modeling is ideal for creating "what if" scenarios that show us the effects of changes in real time. Our designs always start with a model which we then validate. Because wireless networks operate in unlicensed frequencies, potential interference from numerous devices such as microwaves, cordless phones, Bluetooth devices, video cameras, etc. can have a significant negative impact. RF spectrum analyzers are the only devices that can identify physical-layer interference, and no onsite wireless site survey is complete without this service. When the highest degree of accuracy is required for your mission-critical applications, there is no substitute for a professional-grade manual site survey. Our surveys start with temporarily mounting the same access points and antennas that will be permanently installed. We then use professional-grade software to test not only for signal strength, but Signal-to-Noise ratio (SNR) to test the signal's viability, interference and data rates. Our thorough approach is the most accurate solution available. Our reports spell out the facts, and leave no doubt in the customer's mind as to what the wireless network does or will look like.